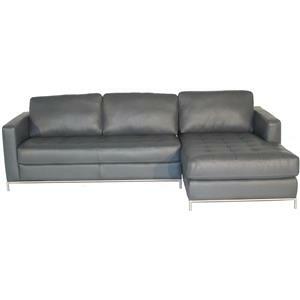 Create a large seating arrangement in your living room or entertainment room with this 2 piece sectional. It consists of a corner sofa and 1 arm facing sofa. 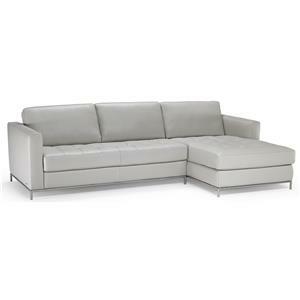 Sleek lines, track arms and exposed wood legs complement this sectional. It is covered in the finest Italian leather that will offer utmost comfort and adapt to your body's shape. 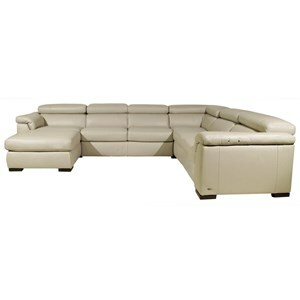 Gather around with family and friends and enjoy the luxurious style and comfort this sectional has to offer. 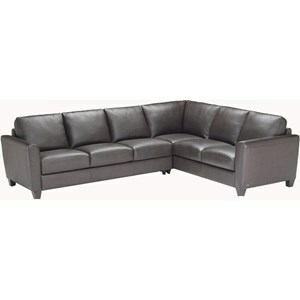 The B592 2 Piece Sectional by Natuzzi Editions at Sadler's Home Furnishings in the Anchorage, Fairbanks, Sterling, Alaska area. Product availability may vary. Contact us for the most current availability on this product. 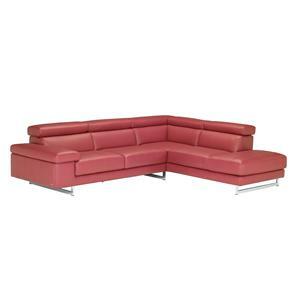 B592-085 Right Arm Facing Corner Sofa 1 93" 37" 34"
B592-018 Left Arm Facing Sofa 1 80" 37" 34"
Fabric Options Over 100 different fabrics and colors to choose from in either leather or ultramicrofiber. Seat Support The suspension uses the elastic webbing system that is completely durable, and 100% resilient. That means that over time, the suspension system of our engineered frame will out last any spring type of construction. When space is limited, style is not to be compromised. The B592 collection is the best solution! This collection features a transitional design with sleek track arms and exposed wood feet. 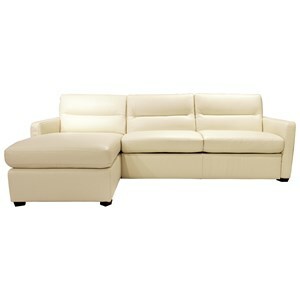 Comfort is enhanced with the ultimate upholstery- Italian leather. The leather is strong, flexible and naturally adapts to your body overtime to offer the utmost comfort. 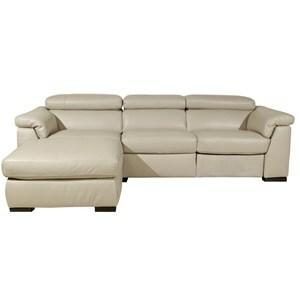 Create a contemporary style in your home with this sophisticated and luxurious leather collection. 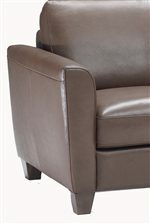 The B592 collection is a great option if you are looking for Contemporary furniture in the Anchorage, Fairbanks, Sterling, Alaska area. Browse other items in the B592 collection from Sadler's Home Furnishings in the Anchorage, Fairbanks, Sterling, Alaska area.